Work through your failures. – Success is not a skill; it is a persistent attitude. The difference in winning and losing is, most often, the simple act of not quitting. Before you quit, think of the reason why you held on so long, and all the progress you have made. The reason so many people give up too early is because they tend to look at how far they still have to go, instead of how far they have come. Read The Success Principles . Don’t let your fears make your decisions anymore. – Have faith that the universe has a plan for you, and it’s all being revealed in the right timeframe. Something you will eventually learn through all your ups and downs is that there are really no wrong decisions in life, just choices that will take your life down a totally different path. So take chances, follow your intuition, and allow yourself more moments of awe, wonder, inspiration and grace. Stand up for yourself. – Don’t let the people who do so little for you, control so much of your feelings and emotions. Never cry for those who don’t know the value of your tears. Stand your ground. It is better to let them walk away from you than all over you. Make up your mind to be happy. – Nobody can take away your pain, so don’t let anyone take away your happiness. If you want to be sad, no one in the world can make you happy. But if you make up your mind to be happy, no one and nothing on earth can take that happiness from you. Let go of resentment. – You will only begin to heal and grow when you let go of the past, forgive those who have wronged you, and learn for forgive yourself for your mistakes. So every morning as you make your bed, think positively, and smooth out the wrinkles of negativity left from yesterday’s challenges, tuck the corners of your doubts away, and fluff your belief that every day is a perfect new beginning. Read Radical Forgiveness . Focus on the positive. – With everything that has happened to you, you can either feel sorry for yourself or treat what has happened as a gift. Everything is either an opportunity to grow or an obstacle to keep you from growing. You get to choose. No matter how far you have traveled or how many failures you have encountered, hope and positivity can still meet you anywhere. And I leave you with a simple question: What do you have that money can’t buy? Amen to #3! I need to remember this on a daily basis. Superb. All points are wealthy. I was shocked to look at title; but as I went on to reading the article, I came to know the real value of mine. Thanks Marc and Angel. I absolutely love your common sense, ‘no BS’ words of wisdom. They turn my down days around on a regular basis. You write so beautifully Marc, #6 & #8 stand out for me, “never cry for those who don’t value your tears.” Wish I had realised this a while back when I allowed my emotions to get the better of me over someone I thought alot of. Since I found your site I view things very differently! Although I must admit I still struggle with #8, but it is a work in progress!! Thank you, Gail. Good read. Not what I expected, but well stated. On a practical note, you forgot: Recycle electronics for gold, silver, platinum….PC, mobile phone…I have planned to earn money for car, home and pc using this method!!! It sounds too good to be true… but it is true. “What do you have that money can’t buy?” I have self-respect. I don’t care who you are and how much you’re worth. I won’t compromise my morals and values for anyone. All of the points are important, but I think points #4 through #9 are highly important. Standing up for yourself may be tough for some to do, especially when you disagree with close friends and families. All of this is great advice and it’s good to be reminded of these things. I need some of them daily since I tend to be cynical and negative by nature. I received a lesson for #9 in real life last week. I rear-ended someone, nothing major, but it was my fault and I immediately started beating myself up for it. The cop who wrote the citation must have seen the angst on my face. He said, “listen, any day you can walk away from an accident without a scratch is a good day”. How right he is!! I was grateful for the reminder. No. 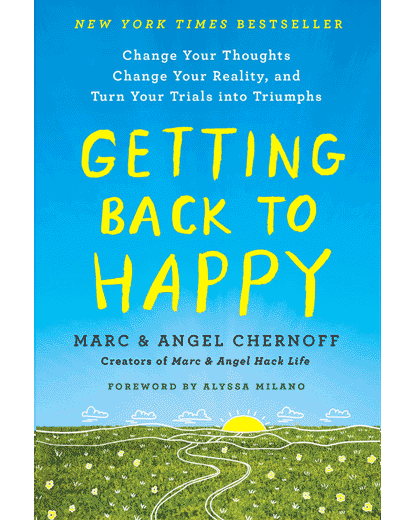 7: Make up your mind to be happy: This is a choice we need to make every hour, every day. Thanks for reminding this. 3, 4 and 8 have really opened my eyes to what I’m feeling currently. Wow, so many things. My family, my imagination, my breath, my dreams. But, better stated, they aren’t things i have as much as they are things that I get to experience and share. I don’t count them as “having” because then there would be the potential anxiety of losing them. I simply enjoy them as part of my journey. Thanks for the perspective of wealth being something other than money, Marc. Gratitude turns what we have into enough. Great one guys. Focusing on the positive. I love that, that is truly remarkable way to get wealthy. Thanks for these awesome tips! @Nijaz M – You are missing the point big time. Wealth is more than just money. Thoroughly enjoyed your post! You have a great way with words. What do I have that money won’t buy? I simply love the list. I will remember all of it. Thanks everyone. So glad you all enjoyed this post. I thought it was a refreshing twist on the concept of wealth. What do I have that money can’t buy? I have my mind, my choices, my loved ones, the love that I give and receive, my eyesight to see all the beauty around us, my ears to listen to beautiful music, the list is endless. It’s all about gratitude for everything. I want to say THANK YOU for all of your Words of Wisdom. This is my first time commenting on your article. I was fortunate enough to have a friend who is going thru many life altering situations himself at this time,”CANCER” being one of them which continues to grab ahold of him & not let go instead of feeling sorry for himself he continues to be “POSITIVE” in his life & help others with guidance from your articles & his “FAITH” in “GOD” & so he referred me to your articles during what had become an extremely difficult time in my life!! I Thank him for referring me to your articles for this is where #1,2 & 3 completely come into play for me….Realizing the small things in life are really big things, cherishing relationships & being okay with the fact I can’t control everything.. Many changes have taken place recently & I see where I fall into points 3-9 in many ways as well. I know it will be hard to change the mindset that I have learned during the course of my life & I realize that “I” need to start beginning with LOVING MYSELF and BELIEVING I AM STRONG ENOUGH TO CHANGE!!!! To answer the question what do I have that money can’t buy?? I AM BLESSED WITH MY CHILDREN, MY FAMILY (as crazy as they are) :-), FRIENDS, MY HEALTH, MY PLACE OF EMPLOYMENT, THE EMS, DRS. & NURSES IN ARIZONA & MY FAITH IN “GOD”!!! As far as my “FAITH IN GOD” this has been something over the last 6 months I started to feel very strongly about as sad as it may sound, not because I didn’t believe but because I witnessed MY FATHER on his death bed literally in a “FROZEN” state due to a severe HEART ATTACK and “LACK OF OXYGEN” to his “BRAIN” this after stepping off an airplane attempting to get his luggage where he “FELL” & “DIED” as he tried to get back home to my younger brothers & sisters… The Paramedics worked Diligently on my father (BROKEN RIBS) and all to revive him which they did & DRS. & NURSES as well.. They gave him a fighting chance. As MY FATHER laid in this frozen state for 2 wks. I sat by his side, cried & PRAYED daily to “GOD” that he return him to us with no complications from the lack of brain activity on that very scary day in March of this year (2012). Our “PRAYERS” were answered Thanks to all POWERS ON & OF THIS EARTH & BEYOND!!! My father is improving slowly he can now stand for short periods of time due to his muscles being weak & is slowly learning how to walk again since he had been bedridden until a few weeks ago & with no sign of “BRAIN DAMAGE”. MY “FATHER” A MIRACLE OF “GODS” LOVE & OUR “FAITH”!!! Great post indeed. We learn lots of difficult formulae while at schools and universities that help us earn a living. However, it takes decades to learn simple formula to lead life and be happy. Wow. Great thoughts. Certainly a lot to chew on. This sounds like something written by a professional counselor. Marc & Angel, I wanted to take a moment to thank you for your profound words. I’ve been a subscriber for a few months now, but have been running so much, haven’t taken the time to show appreciation. I’ve included my primary blog’s address; if you get a minute… it’s a work in progress, but with inspiration from you, it shall be well. An incredible mass of evolution between my ears is what I have! A continent of power, emotion, belief and ideas. The ability to conquer planets within, the desire to change the world – the possibility! The brain fascinates me, for it truly is a marvel – an incredible piece of natural engineering, and totally free!